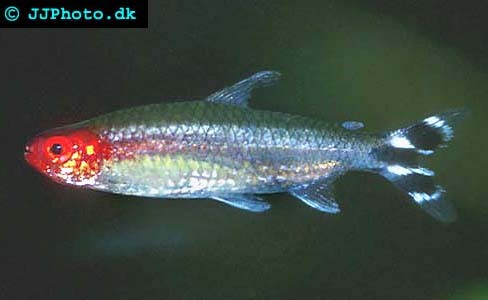 Company: Hemigrammus bleheri (Rummynose Tetra) is suitable for community aquariums. Aquarium setup: Hemigrammus bleheri (Rummynose Tetra) should be kept in an aquarium with densely planted areas. They are sensitive to nitrites and regular water changes are a necessity.